No these aren’t stuffies, but similar. 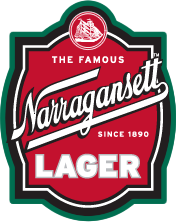 They are tasty little baked treats with all the clam goodness you’d expect from Narragansett beer. This one has a local Portuguese twist using chourico which will make them spicier than stuffies. The stuffing also calls for crushed saltine crackers which will make it less “bready” than you’re used to. Try this for your next party. Wash the little necks thoroughly and then steam them in a covered sauce pan until the clams open and the meat easily pulls away from the shell. Cool the clams under cold water remove the clam meat, twist apart the shell half’s and wash and drain. Finely grind the clam meat in a food processor and set aside. In a sauté pan melt the butter and lightly sauté the onion and the garlic. Add the chourico and sauté for an additional 2 to 3 minutes. Add the chopped clams and the clam meat and sauté until the clams are cooked, about 5 minutes. Add the clam juice and the wet pepper and return to a simmer. Remove the pan from the fire and add about half of the crushed saltines. Allow the mixture to sit for about 15 minutes and then check the consistency. If the mixture appears to be overly loose add the remaining crackers. The easiest and quickest way to stuff the clams is with a standard sized soup spoon. 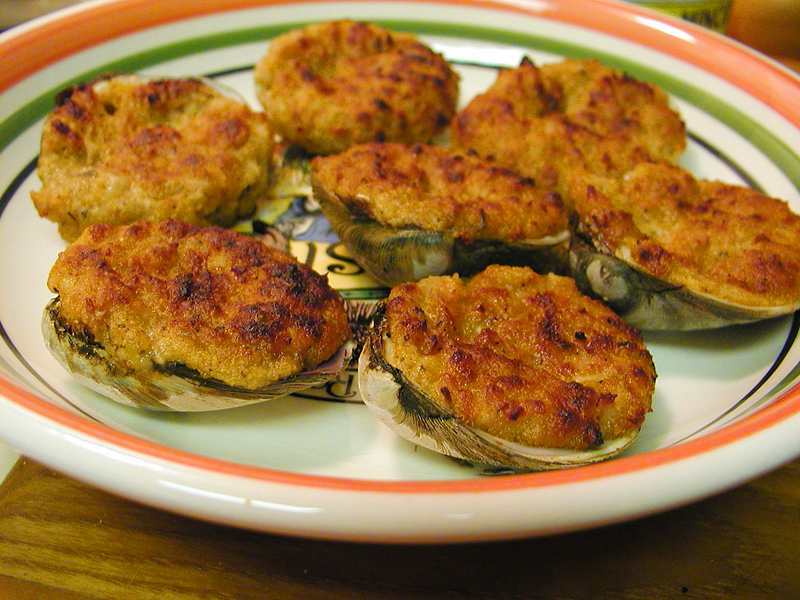 Place the stuffed clams on a cookie sheet and bake at 350 ° F on a high shelf for about 10-15 minutes. All you want to is slightly brown the tops but the “one” thing you do not want to do is overcook the clams. You will be chewing on what you may think are rubber bands.